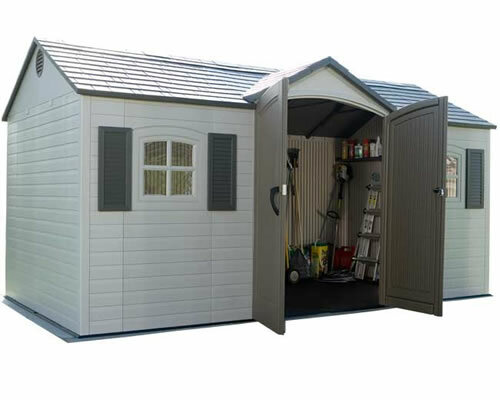 Add an extra set of shelves to your new Lifetime shed! 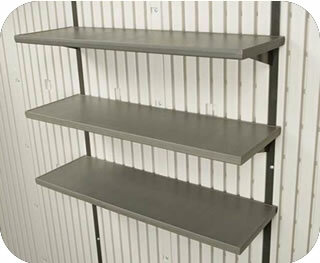 Includes 3 extra 30"x10" plastic shelves. Fits 7, 8, 10, and 15 ft. Lifetime sheds. 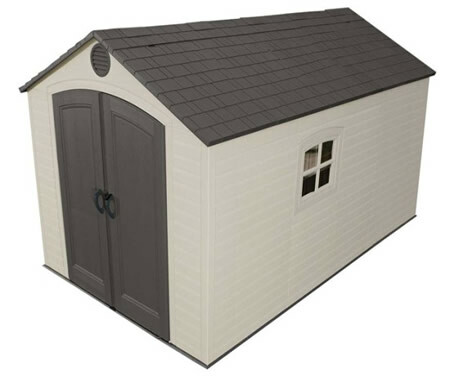 Add another full set of shelves to your new Lifetime plastic storage shed! 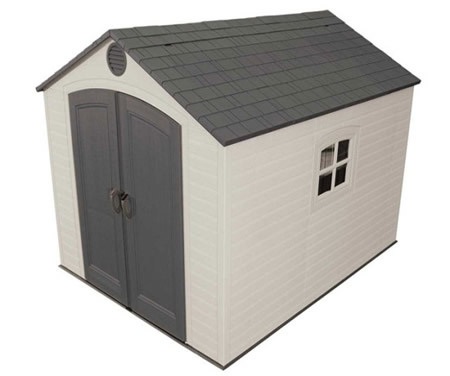 This shed shelving kit comes with three 30 x 10 in. shelves designed for our 7, 8, 10, or 15 ft. 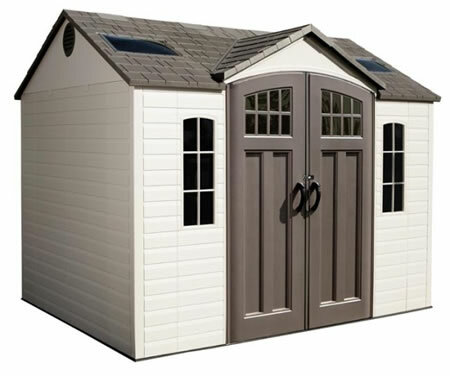 Lifetime storage sheds. Note: the total weight stored per wall (including all the shelves) should not exceed 50 lbs.